As these days’ young’s needs internet every time. Internet become part of their life as it is also useful in their study and they can be up to date about society using the internet. But internet is very costly these days and every one cannot afford it. Even the mobile data is more costly compare to other type of internet data services. Due to which Government of Goa planned to provide internet data to young’s in free so that they can solve their lot of academic and other course related problem easily and make them more progressive in this modern society. On 5th of December, 2016 Government of Goa launched a new scheme called Goa Yuva Samvad Yojana also called GYSY. This is an absolutely a new innovative type of Government Scheme specially made of youth population of Goa. In this scheme State Government provide a free 3G data and talk time to youth of the state in the free. Scheme will be very useful for the rural youth of Goa, who are still out of touch from the various digital platforms. The main Objective of this scheme is to enable the youth to connect with digital world and make them part of the Digitally Empowered Society. This plan is continued under the central Government’s flagship Digital India initiative. Goa government launches this plan to complete the Prime Minister dream of Digitally Empowered Society. The main Focus of the scheme is the youth of Goa State. Under the Goa Yuva Samvad Yojana the state government of Goa plans to provide some free mobile data usages and free calling to the youth of the state. Scheme includes usages of 3GB mobile data (on 3G mobile only) and free 100 minutes for calling. This scheme is a monthly base and continues for the 3 years. Government will provides new SIM card in free to take benefit of this scheme. Government makes target to cover 1.25 lakh youth in this scheme. Vodafone is the contributor of this scheme with the government. 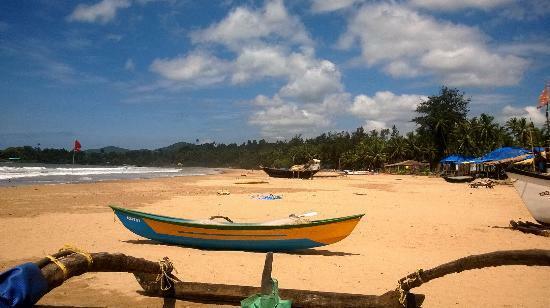 The scheme would cost the Goa government around Rs 1 crore per month. Who are all eligible to avail the benefits of this scheme? The major document necessary to take benefit of this plan is the Aadhaar Card or the Voter ID card or some other identity proof to prove that the candidate is from Goa. All along with this the applicants has to given his or her passport sized photograph which is signed by him. For more detail of the scheme Goa government launch a web portal with URL https://www.gysygoa.com on which government put all the detailed information of the scheme and one can apply online using this web portal.